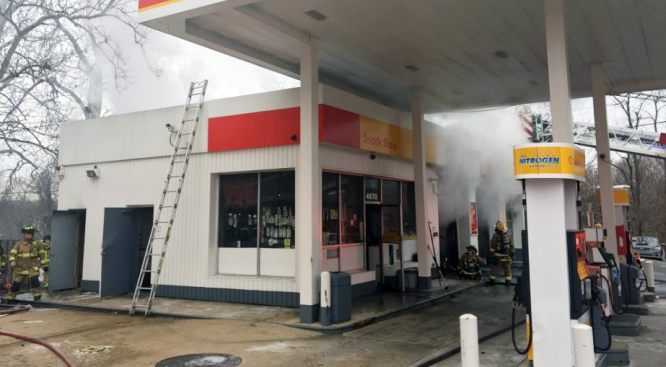 A two-alarm fire at a gas station in Alexandria, Virginia, sent smoke pouring out of two repair bays Monday morning. Firefighters were called to the 4600 block of Duke Street at about 8:30 a.m.
Pictures from the scene show white smoke pouring from the station. No injuries were reported, fire officials said. The road was closed to traffic while firefighters extinguished the fire. A malfunctioning furnace started the fire in a storage and utility room in the rear of the station.